He is popular at National Theatre. He is the face of the most famous film organization, Uganda Cinema Night. He is also the reigning vice chairperson of Uganda Film Club. 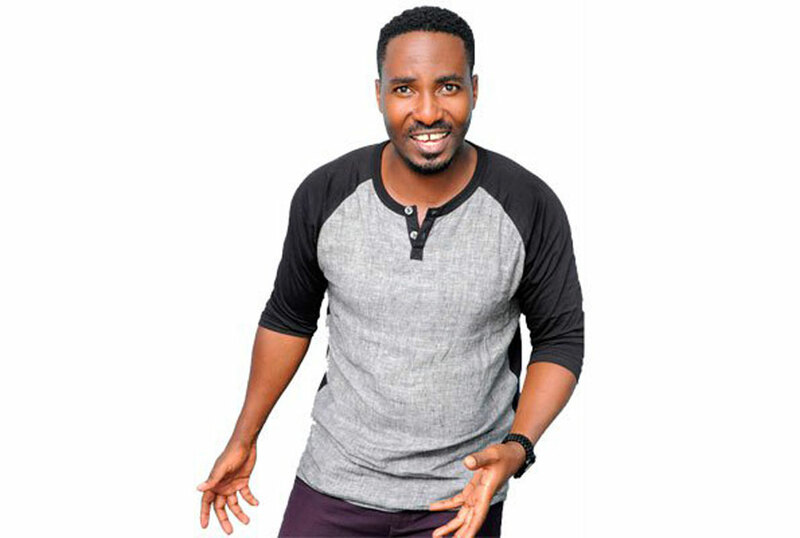 Godfrey Musinguzi is defying all odds to attract most of his peers into the film Industry them. I am outspoken, focused and an ambitious young man. I am one of the most talented youngsters in the film industry. I work with the famous film organisation Uganda Cinema Night that showcases every first Wednesday of every month. I am a father of one daughter an actor, voice over artist and a creative director. Tell us about the Uganda Cinema Night? The project was established in 2016. After acting for so many years, I came up with an idea that would bridge the gap between actors and producers. I also wanted to see actors earning from their sweat. My vision is to transform and promote Ugandan cinemas across the world. I envision all local bibandas (local cinemas) upgrade to clean and organised cinema halls where Ugandans can comfortably watch a Ugandan film. The Uganda cinema night exclusively shows Ugandan films every first Wednesday of every month at the National Theatre. Through my work, I have earned trust from both the content providers and producers. We do revenue sharing where we pay our content providers. So people are willing to sustain us through constant provision of films. Why did you join the film industry? I would be one of the best pharmacists in the country if I had not joined the film industry as an actor. My passion and dedication for theatre and film are the reasons I am in here. I loved acting since childhood and it was clear to me that this was the right path to take. I am proud of this profession. What is your response to an allegation that actors are flirts? (Giggles)Women fear me because I am an actor. They fear the lime light. Matters of the heart are so complicated. Sometimes, even if one genuinely pours out his heart to someone, they would still not be taken seriously. Even when I take a step to convince someone that I truly love them, I get disappointed at the thought that women think I will dump them for someone better. How do you handle female co- workers that hunt for you? I am a principled person and I do not mix business with relationships. This is how I have managed to get this far. It’s true it gets tricky sometimes and every actor struggles with it. But I exercise self-restraint and professionalism. I meet very beautiful girls every day and if I was to love all of them, I wouldn’t be here. Many attractive ladies who want to reach the top instantly have dropped out. Are you married or seeing someone? I am not married yet. But I am in love with a beautiful focused woman. Sometimes, she feels insecure because of the nature of my job and this saddens me. How did you meet this mysterious woman? I was working on a project with a team of young people who needed help. So she walked in and caught my attention. I was startled by her beauty. I wanted to know more about her. She was humble and a church goer. I fell over head over heels for her. I have been in this industry for 11 years and I believe actors need stable relationships to concentrate on their work.